Good morning polished world and Happy Tuesday! That's right, Tuesday, which means it is time for yet another Twinsie Tuesday! This week we are sharing manicures inspired by our BFFs. I decided to be inspired by my polished BFF Amanda from Fashion Footing. Amanda and I both have a love for everything floral. 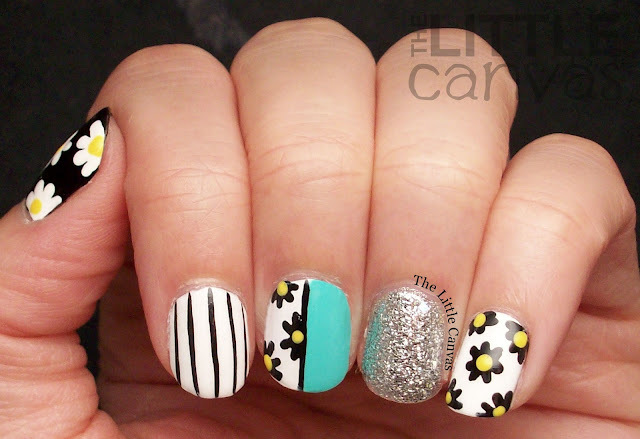 She is a lover of daisies so I decided to do some fun daisy nail art. I re-created this design by @mvargas_nails on Instagram. It worked out perfectly because that fun bright green teal is also something Amanda likes. I really love how these nails turned out. I was so sad when they finally chipped and I had to take them off. They were so simple, yet different and fun. The middle nail really gave me a run for my money. I think I had to take it off three times before I got it looking how I wanted it to. The first time I put too much of the Too Yacht to Handle so there was no room for the white space. The second time, the line going down the middle was wonky and well you can't have that. And the third time I messed up a flower. Fourth time was a charm in this case. 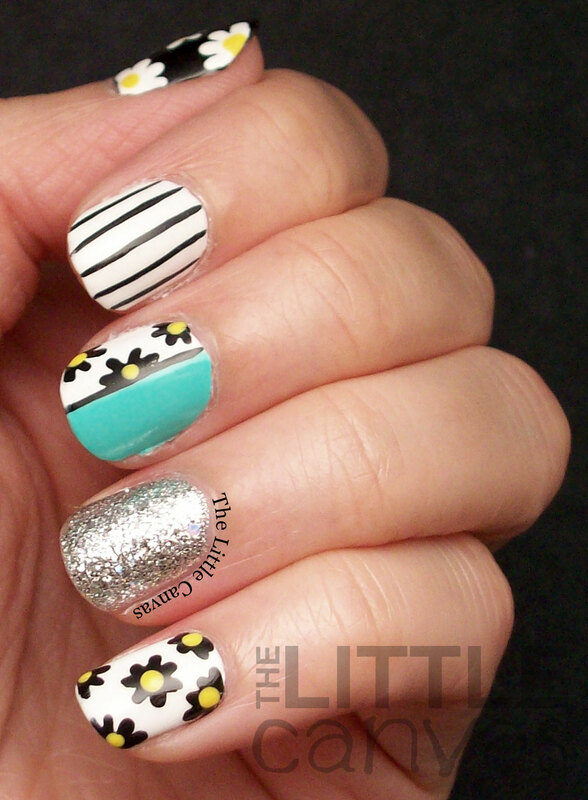 I loved doing the daisies in black. Something different that I honestly never would have thought to do. They really were eye catching. Don't forget to check out the other Twinsies! We have some new lovelies posting with us this week!